Many of Israel's most impressive attractions are located between central Israel and Eilat. We offer several one-day guided tour options that cover the most popular sights starting in Jerusalem and central Israel and ending in Eilat. Below is a list of the attractions en route that can be incorporated into a one day tour. This is a particularly popular option with visitors heading to Petra from Eilat and tours are tailored to suit personal preferences and time schedules. Contact us for further information. We start our tour driving through the Judean desert towards the Dead Sea and the impressive ruins of Masada which is spectacularly situated on the towering cliffs overlooking the Dead Sea. We ascend by cable car and spend 2 hours exploring the impressive ruins. Masada was originally the desert fortress of King Herod and it was here that the tragic Jewish stance against the Romans took place, ending mass suicide within the fortress walls. Today Masada remains an important symbol for Israel and it is one of Israel's most visited sites. World renowned for its incredible scenery and healing waters the Dead Sea remains one of the most popular attractions in Israel. We get the best of our Dead Sea experience at the Ein Gedi spa where we enjoy the healing and rejuvenating properties of the Dead Sea as well as enjoying the spa's natural spring water and shower/changing facilities. Situated right on the coast the spa has a private beach where entering and bathing in the sea is easy and mud and showers are readily available. The Dead Sea draws visitors from all over the world wishing to experience its unique waters and fabulous views. Having baked ourselves in the Dead Sea mud we enjoy a refreshing shower and continue our Journey along the expanses of the Arava road towards Eilat. 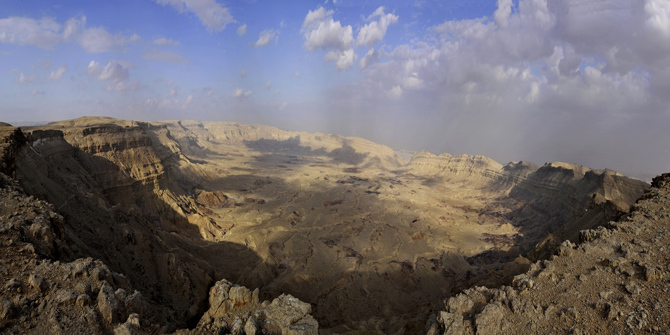 Israel's most popular nature reserve is the desert oasis of Ein Gedi. On the shores of the Dead Sea set against the dramatic Judean desert scenery, this remarkable oasis has waterfalls, wildlife and is home to an abundance of palm trees and vegetation. We enjoy a walk along the nature reserves' paths within Ein Gedi and visit the largest water fall while enjoying the unique views, nature and atmosphere of the area. Famous for being the site where the Dead Sea scrolls were discovered which are now housed in the Israel Museum. We visit the 2,000 year old ruins which reveal to us the way of life of its inhabitants who had left Jerusalem to experience the heightened spirituality that living in the desert brings. Situated high above the ruins are the caves where the Dead Sea Scrolls were discovered and we enjoy a short hike to the actual cave where the scrolls were concealed. The Timna valley is a UNESCO protected area and one of Israel's most important historic sites. The copper mines here are among the first in the world and the splendid desert scenery coupled with its fascinating ancient ruins, dramatic history and unique geology make it one of Israel's most impressive sites. Timna is situated on the Arava road less than an hour from Eilat. As we turn off the Arava into the Timna valley we see the massive cliffs that surround the valley and a short drive into Timna takes us to its famous sites including Solomon's Pillars, The Mushroom, The Arch, the Egyptian Temple and Slaves Hill. We visit all the major sites while learning about the fascinating history dating back to the beginning of the copper age.